If you haven’t visited a senior living community in a while, you may have some misconceptions as senior communities have changed significantly over the last few years. Today’s senior communities range from homelike to the luxury of a high-end hotel, and they definitely don’t feel institutional. Most seniors who have moved to independent or assisted living communities report that they prefer life at their new home to living alone. Driving can become more stressful as we age and our driving abilities may not be what they once were either. For these reasons, many residents opt to take advantage of transportation services often offered by senior living communities. There is no need to rely on a car any longer, although parking (including heated, parking garages) are often available for residents who still drive. Many seniors who are used to living alone, may not currently be eating right. At many senior living communities, residents don’t have to worry about grocery shopping or meal preparation if they so choose. Instead, they can enjoy a fine dining experience every day of the week with many communities offering chef-prepared meals. The food tastes good, alternative meals are almost always offered and special diet needs can ordinarily be accommodated. It’s common for new residents who had been eating poorly before they moved, to experience improvements in their health and well-being just from having access to three square meals per day. Living alone, we may not be able to participate in activities and games we enjoyed, that were both fun and helped keep us sharp. Today’s senior communities offer a wealth of opportunities to keep us engaged. This can include favorite games like bridge, chess, and assorted board games. Engaging reading groups, fascinating classes and lectures are often regularly available as well. Residents can rest easy knowing they are secured from people who may do them harm. Furthermore, residents enjoy the peace of mind that comes from the emergency response systems that are in each apartment, or can even include safety pendants that can be worn by the resident. This alleviates fears about falling and becoming trapped for hours or even days — a scenario that’s all too common for senior’s residing alone. Certainly, there are seniors who live alone and are doing just fine. 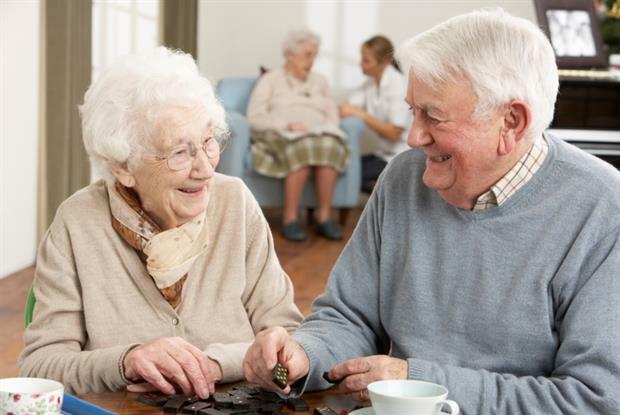 It is a well-known reality however that vast numbers of seniors are living alone in unsafe or unhealthy situations who would benefit immensely from life in a senior community. Older adults who live alone often become isolated, which is unhealthy at any age. At senior communities, people can make new friends and share meals with one another. Those persons who are more introverted can still benefit since while their privacy is respected, they still have more peace of mind knowing there are several other people around. Keeping up a home is hard, especially for those persons who have developed physical ailments. Mowing the lawn, pulling weeds, shoveling snow, even vacuuming, can become things of the past. With all of these laborious concerns being taken care of by staff at a community, all those worries vanish. Residents need never be bored at a senior living community since there is typically something of interest for everyone. All kinds of activities and entertainment are offered, both on-site and through access to the local community. Entertainment can range from visiting musicians and performers to day trips to local landmarks.